Religious leaders across all denominations should use their power to promote harmony and unite people. The world will only become a better place if love conquers hate. On a snowy late evening in Yuzhno-Sakhalinsk in January 2004, I was walking home with a friend after watching a horror movie. The streets at that hour were eerie and deserted for the most part. As we walked closer to my apartment I heard the tolling of church bells. The calming sounds of the bells gave me goose bumps when I realized that it was Christmas. 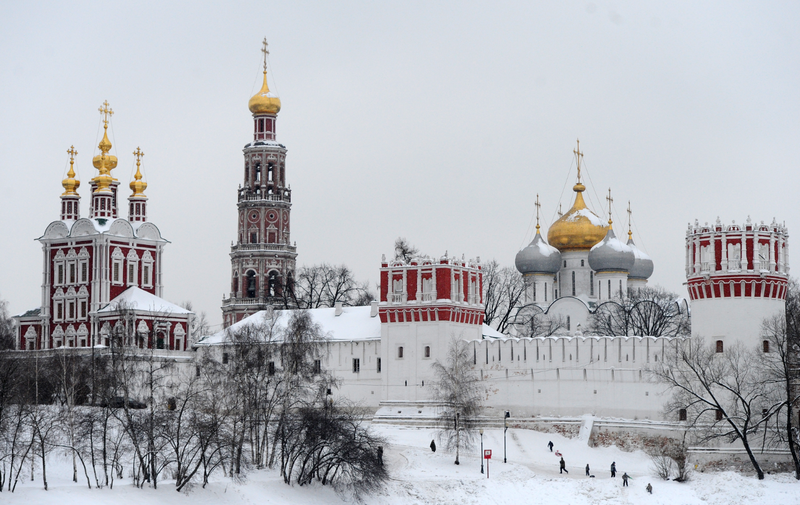 The Russian Orthodox Church follows the Julian calendar and marks the birth of Jesus Christ on January 7. As a child growing up in New York City, I dreamt for years of a White Christmas and finally, in my adult life, my childhood dream became a reality. There was something so dignified and graceful about the sight of families in the compound of the small church. When I asked my friend if we could go and take a closer look, she refused. She had been judged a few times by self-righteous old women for not knowing how to pray properly and she made it a habit to avoid the church. Over the next few years I heard similar stories from my Russian friends and why they avoided going to church. The Russian Orthodox Church has been maligned by the western media over the years, and Russian media outlets often given a lot of publicity to priests from small parishes who have radical views. As someone who is agnostic, I appreciate historical places of worship for their architecture and cultural value. This is why I have been to churches, temples, synagogues and mosques around the world. I did have an aversion to the Russian Orthodox Church in the past because of what I had heard from my friends, but of course this didn’t stop me from visiting churches and monasteries in Russia. Last autumn, a religious friend of mine invited me for a service at one of my favorite monasteries in the world- the Novodevichy Convent. I like the spiritual energy inside its churches, something I feel doesn’t seem to exist in some other famous houses of worship in Moscow. My friend introduced me to a young priest, who seemed very eager to have a conversation with me. I explained to the young man that I respected every religion and every person’s right to their own beliefs but I wasn’t sure of an existence of a superior being. What surprised me was that he didn’t try and lead me to the path of Christ, but instead tried to persuade me to just believe in God. As someone who has read several versions of the Bible, I asked him if he believed that I would burn in hell if I didn’t accept Jesus Christ as my savior. He laughed and told me that hell isn’t what people make it out to be. “Hell just means a place that is far away from God,” he said, adding that it’s a state of sadness that a person would feel. The priest even denied that there is something called heaven. He said once a person dies, he or she either goes to God or to hell. When I asked him if punishment in hell was eternal, he said no. Once I accepted God, I could be with him again, the priest said. He said all believers in God would be with God after they died, regardless of their religion. When I asked him if foreigners could follow the Russian Orthodox Church or Russians could believe in other faiths, he said there was nothing wrong with this, but insisted that this was his personal opinion. He then surprised me by quoting Swami Vivekananda and telling me that all religions were rivers leading to the common ocean that is God. Of course, I’d heard all of this before, but this particular conversation was an eye opener about the very process of reforms and inclusiveness that are part of an organization that has been maligned over the last decade and a half. For too long religion has been misused as a tool to divide. The wounds of dividing India on a dubious religious premise are still fresh, even after almost seven decades. Jesus Christ was a great champion of love and forgiveness. His message is very much relevant in this world full of hatred and animosity. If more religious organizations preach this message of universal love and brotherhood, the world may just become a better place. It’s however a journey that the whole world has to take together. The Novodevichy priest’s beliefs are very much in tune with traditional Indian philosophies, which are inclusive and open-minded. May the light of Russian Orthodox Christmas spread across the world and bring in a new era of peace. Of course, as a skeptical agnostic, I would not bet on it happening in my lifetime. But we all have a responsibility to encourage those who seek to unite, instead of divide, the world. The article was first published in 2016.